#MYNAME #JustTellMe goodbye stage! Thank you #MYgirl! You’ve worked hard!! We’ll be back!! MYgirls, be healthy! #BTS #JHope Hoseokie well done for your goodbye stage too!! Fighting. What should I do when I miss MYgirl…😵 I love you! Today is our last day with MYgirls for #JustTellMe ㅠㅠ I’ll prepare hard to come back even better^^ Just like glue, always stick by #MYNAME’s side!! Thank you and I love you!! This entry was posted on June 7, 2015 by mynamesg. It was filed under Instagram, Tweets and was tagged with BTS, Gunwoo, Instagram, JHope, JunQ, MYNAME, Seyong, Tweets. Hi my name is Jessica hess And I love MYNAME SO MUCH They’re so funny and entertaining and I just want to meet MYNAME in Real life. I wish we could have a concert in America San Jose California USA and fan meeting as well! 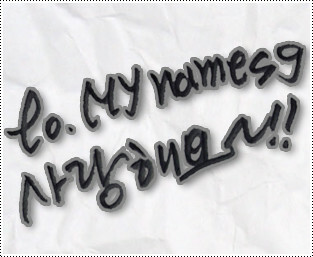 So I can get to know MYNAME a little better!! That would happen I will love that will be so Awesome And so Fantastic .. Continuing my love and support from you’re fan Jessica Hess from America !!!!!! we all love you do your best you will then you will succeed !!! !